Nothing is scary as receiving the warning that you should scan drive for errors in the midst of using your computer or when rebooting. First, your PC may completely refuse to boot meaning you will have to spend time troubleshooting the PC instead of working. Even worse, your hard drive stores important data whose loss can be devastating to your organization. Of course, one of the most important system maintenance routines for perfect hard disk health is running a disk check regularly. Strangely, even disks that have all along seemed to be in the best condition are not spared and may suddenly display the irritating Scan drive for errors message. Well, despite its stubbornness, this is a solvable problem and I will show you how shortly. Natural wear and tear: Naturally, during the course of using your PC, the hard drive may suffer mechanical damage or get logical errors. Such incidences may lead to a corrupted file system, bad or irregular sectors or a complete disk breakdown meaning there is a risk of data loss. Shutting down a PC improperly: Moreover, you may notice the message advising you to scan drive for errors when booting if you had previously shut down your system improperly. 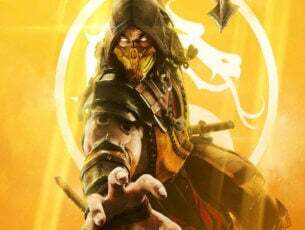 Installation of New Programs: You may experience the error when restarting after installing a particular program/game. Other boot-related challenges: Additionally, you could receive the notification to scan drive for errors in case your computer encounters other boot-related problems, for example, a virus attack. 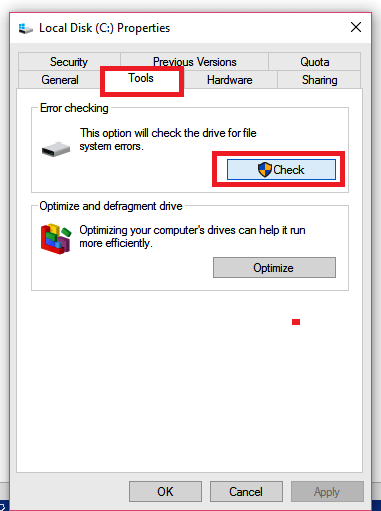 If your computer is booting, you can use the GUI error checking tool in Windows found under disk properties. Click the file explorer icon on the taskbar (as shown). The explorer opens up. 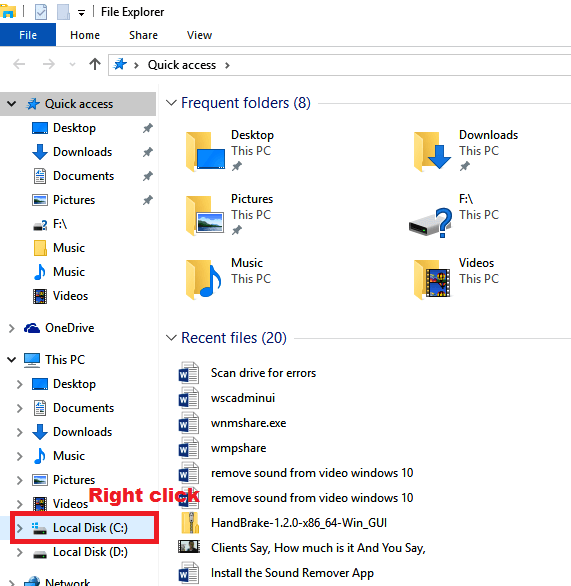 Locate the disk you would like to scan for errors from the left menu and right-click it. Click tools then select check. Type your administrator password and provide confirmation if you’re prompted. It is advisable that you can run the scan for each drive (if you have multiple drives) to be on the safe side. Just right-click on each in turns. You may also opt for the command prompt. Here you run the chkdsk tool. Compared to the GUI option, the cmd process offers more advanced options when scanning your drives for errors. Type cmd in the search dialogue box. 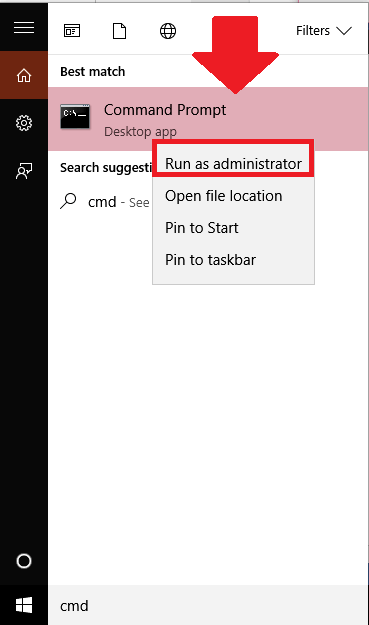 From the result, right-click command prompt then choose run as administrator. Click yes to proceed if prompted by the UAC(user account control). 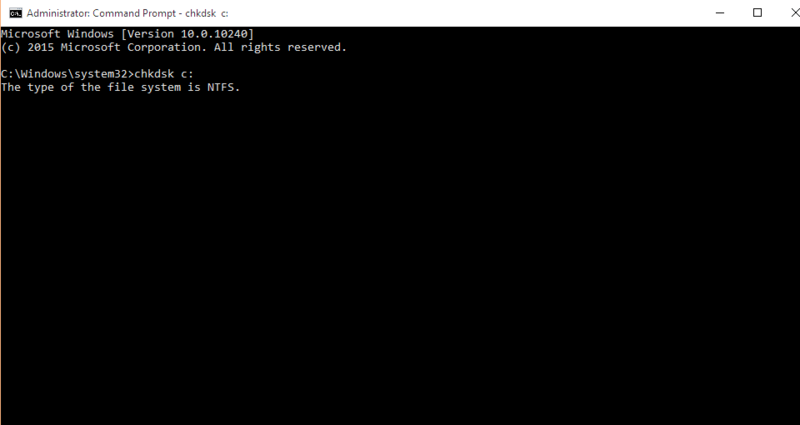 At the command prompt, key in the command chkdsk /x: ( where x is the drive letter) then press enter. Press Y if you’re prompted to check your disk during the next restart. The error scanning operation also tries to repair any bad sectors meaning you might lose data during the scan/repair process. 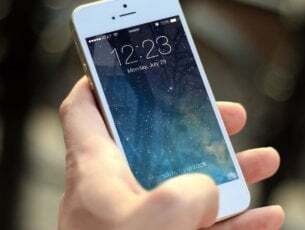 Subsequently, always backup your data before running it to avoid suffering a costly data loss. You can also choose to boot the machine from your Windows installation media and perform the error scanning action from the Command prompt. This method is especially useful when your PC won’t boot. 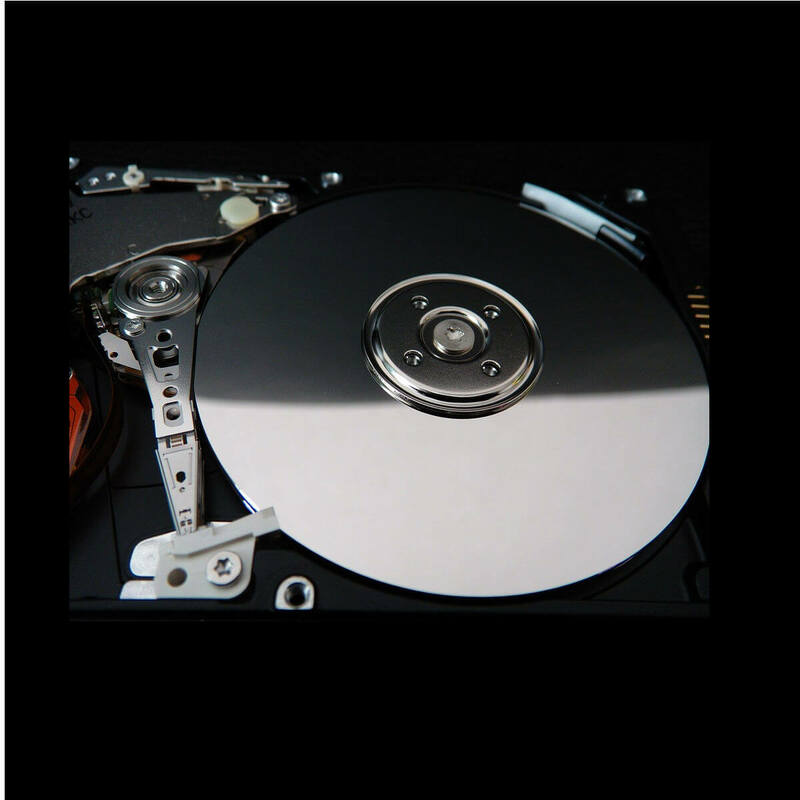 Insert your Windows installation DVD or USB Recovery Disc/ System Repair Disc in the relevant drive. 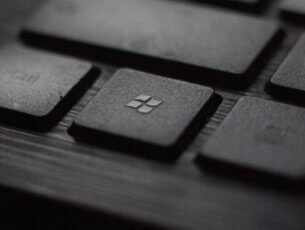 Force your PC to shut down by long-pressing the power button. The text Press any key to boot from CD or DVD Press any key. Select your keyboard layout and time plus language. Press R or click Repair your computer. 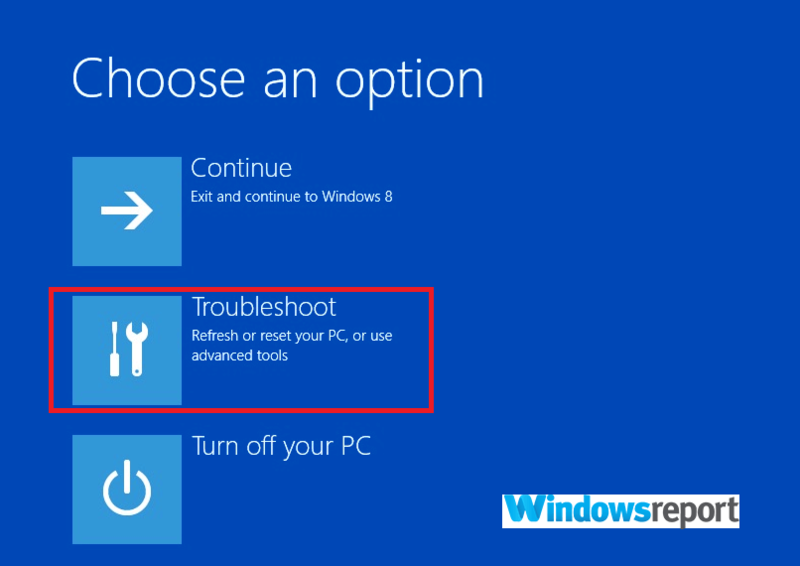 Choose Troubleshoot from the Choose an option window. Type chkdsk c: /f/r then press Enter (c is the drive letter). Sometimes Windows 10 seemingly freezes before completing the process of scanning and repairing drive errors. When this happens, the procedure of repairing drive C: becomes stuck at a certain percentage for hours on end. In such cases, you can first try the system file checker (SFC). This may help as it also scans and restores any corruption in system files that could be causing the freeze. 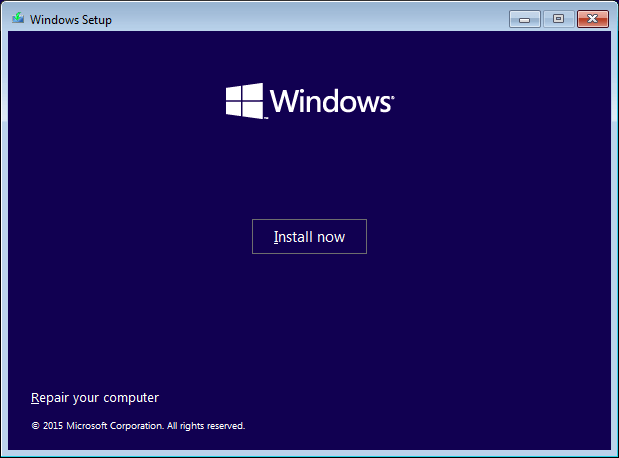 Insert your Windows 10 Installation disc. To boot from the DVD, press any keyboard key. Choose the keyboard layout plus time and language. Click on the Advanced options. Type the command sfc/scannow (leave a space between sfc and /). Press enter. You can retry the scan after your computer completes the sfc tests. You may even be forced to re-install Windows 10 if the freeze doesn’t go away even after implementing the above suggestions. If at the end the tool finds errors, the system will request you to restart right away to allow it to fix the errors. There is also the alternative to schedule the restart to later. We would recommend that you reboot right away. Once in a while, Windows 10 persists in telling you to scan drive for errors even after you have restarted. Well, this could mean several things with each calling for a different action. Your disk has been affected by a vicious malware attack: Try to scan your PC with an updated antivirus. 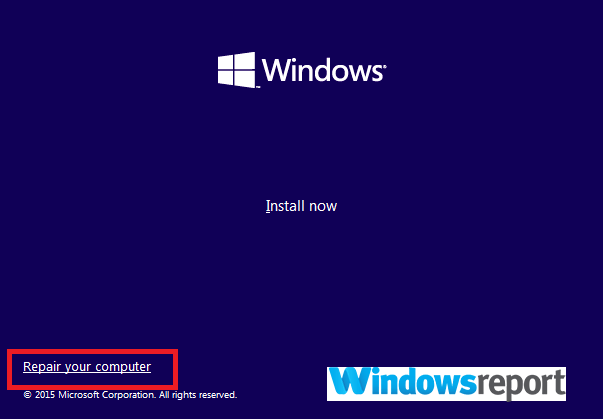 There’s a problem with Windows update: Try to download and install the latest updates.